AllergyLifestyle.com was launched in 2013 by Anne Walsh. Inspired by managing her own daughter’s anaphylactic allergy to peanuts, eggs, sesame & soya and determined to make a difference in the allergy community she set up AllergyLifestyle.com. At Allergy Lifestyle our vision is to help make life a little bit easier for anyone managing allergies, anaphylaxis or asthma by bringing together a range of products, resources and training to help keep you safe. We have searched the world for the best award winning products to help in day to day living with allergies, anaphylaxis and asthma and have sourced a fantastic range of allergy and asthma friendly products for adults, teens and children. We even went so far to develop our own Anaphylaxis Emergency Response Case which not only protects the medicines but includes guides on symptom recognition and how to administer an auto injector. We get that Anaphylaxis and a life-threatening allergy diagnosis can be a confusing and worrying time so we are have added lots of helpful allergy blogs and Allergy, Anaphylaxis & Asthma Information links where you can find more information. 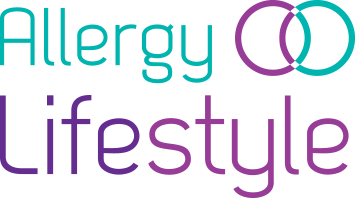 Don’t forget to join us on Allergy Lifestyle’s facebook page & our twitter page @Allergylifestyl where we have started an Allergy & Asthma community to share information, tips and support and help each other negotiate our way through the Allergy Lifestyle! We understand from our own family experience the challenges of living with serious allergies and our vision for our business is to supply your needs to make the Allergy Lifestyle safer and easier. Anne Walsh: Founder of Allergy Lifestyle ‘We are passionate about helping anyone who has to manage allergies or asthma. Having managed our daughter’s life threatening allergies for over 10 years we gained a lot of experience along the way which we want to share with you to help you on your journey through the Allergy Lifestyle. ‘After a life threatening exposure to peanuts coming up to her second birthday our daughter was diagnosed with an Anaphylactic peanut allergy, egg, sesame seed and dust-mite allergies. She also has Hay Fever & oral allergy syndrome. She is my inspiration for Allergy Lifestyle and I admire and respect how she manages the challenges of living with life threatening food allergies on a daily basis . Cathy joined the Allergy Lifestyle team in October 2015. Primarily in charge of customer care, Cathy also manages the social media accounts and writes fabulous blogs. We enjoy keeping our loyal customers up to date with the latest Allergy & Asthma news. Don’t hesitate to get in touch, we are here to help. Allergy Lifestyle delivers PHECC approved certified training. Our aim is to provide you with the skills to handle a medical emergency in your organisation until hand over to the emergency services.